Choosing the perfect bathtub can be a lot more challenging than it used to be. Bathrooms have morphed into places of relaxation and rejuvenation with homeowners now seeking bigger or better-designed bathrooms. But there is one element crucial to a relaxing bathroom. Christie Wood, Communications and Design Specialist with Beaumont Tiles, is well versed with choosing the perfect bathtub. Christie says it’s important to undertake some research to ensure your chosen bath fits the purpose and space. 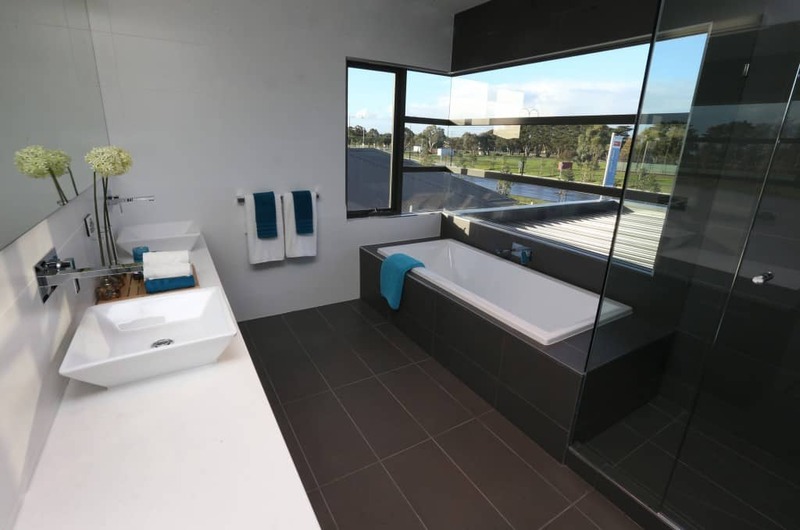 Christie says having toddlers or older people using the bath need to be considered when choosing the perfect bathtub. An on-trend, deep free-standing bath wouldn’t be highly suitable for either cohort. Conversely, a gorgeous free-standing bath may contribute to the appeal of a home if you are selling. So, when choosing the perfect bathtub Christie recommends her top considerations. Measure up the dimensions of your bathroom and it’s bath space. Small bathrooms usually accommodate a bath in a corner or at one end. 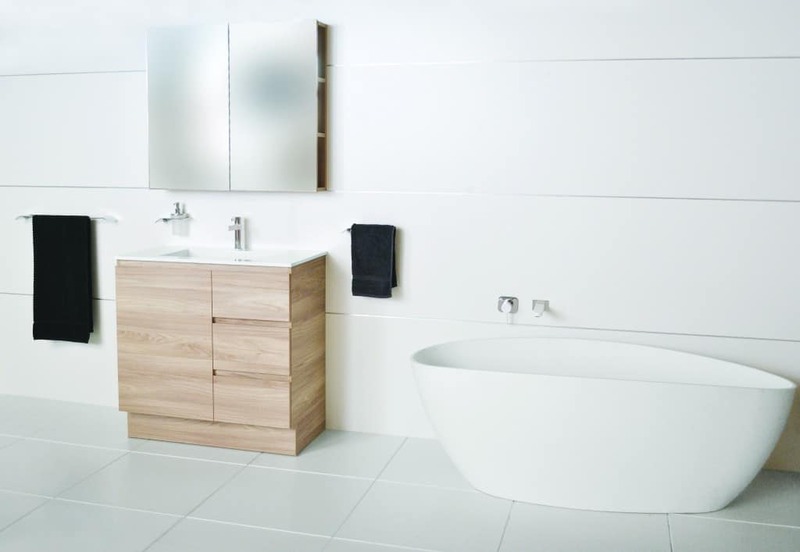 In larger bathrooms, a bathtub can be the ‘Hero Piece’ in the bathroom – especially a free-standing bath. Choosing your perfect bathtub also means not overwhelming the space; and ALWAYS lie in the bath before you buy it. and the freestanding tub (it’s the close your eyes and you’re in Tahiti option, but not so great for toddlers). Renovating to resell. The wet areas are what sells a house so when renovating, plan carefully. “Families with young children put a bath at the top of their ‘must have’ list and expect at least one of the bathrooms to have one. Freestanding baths instantly speak luxury,” says Christie. Choosing a bath material. Baths come in an array of materials: from limestone resins, sculptured stone and event pressed steel. Budget really comes into play here. The most popular are Lucite grade acrylics as they’re strong but light and durable, easy to maintain and affordable, and can be moulded into soft contours perfect for the long soak. Beware the misplaced tapware. A decor statement in its own right, tapware can be traditional, modern, industrial, multi-coloured, sleek + shiny or moody + matte black. But don’t just think colour and style, think about it’s positioning – wall, deck or floor mounted. “The last thing you want to do is bump your head when lying in a bath” Christie says. For those stuck on making a decision, visit www.whatstyleami.com.au to take Beaumont’s ‘What Style Am I’ quiz to find your personal interior style. Have you renovated a bathroom? What did you choose? Did you have trouble choosing the perfect bathtub? Did you have a luxurious free-standing bath? What’s the one thing yuo would ALWAYS have in a bathroom? For more inspiration, see the amazing Meisterstruek luxury bathtub, a black + white bathroom, the incredible undersea world bathroom, small bathroom storage ideas, fun + colourful towels, new quality tapware from Kohler, and more expert tips on bathroom design.